To submit an order please complete the form when you click on the 'order now' link. Alternatively you can email us an Order Request by Clicking Here. Our staff will contact you within 1 business day to arrange payment and confirm delivery/pick up details. Delivery cost will be confirmed at time of order. The TD8 is a volumetric piston type water meter, for residential metering applications. In water and gas applications, EverBlu Cyble Enhanced transmits not only the 24 hourly meter reading indexes, but also advanced information such as tampering alarms, detection of leakages and detection of back flow for water meters, ect. Alternatively, its data can also be collected using AnyQuest mobile reading system. The AnyQuest/ Everblu Pulse Enhanced module has been designed to fulfil the requirement to connect easily any meter with pulse output to the Itron AMR & AMI systems. With this generic Interface module, water, gas, electric, heat and cooling meters can be integrated into the AnyQuest, Everblu and UniGate radio reading systems. 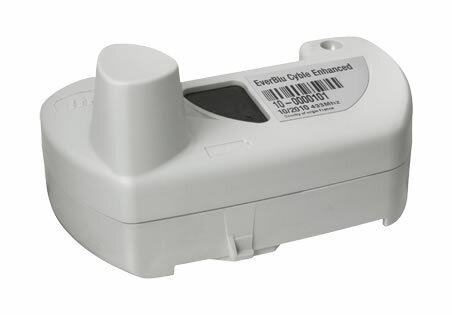 Unimag Cyble is a versatile water meter for residential use which can be easily transformed anytime into an advanced communicating device thanks to the application of the whole range of Itron Cyble communicating modules.